PennsylvAsia: New Asian grocery, called Asian Grocery, now open in South Hills. New Asian grocery, called Asian Grocery, now open in South Hills. 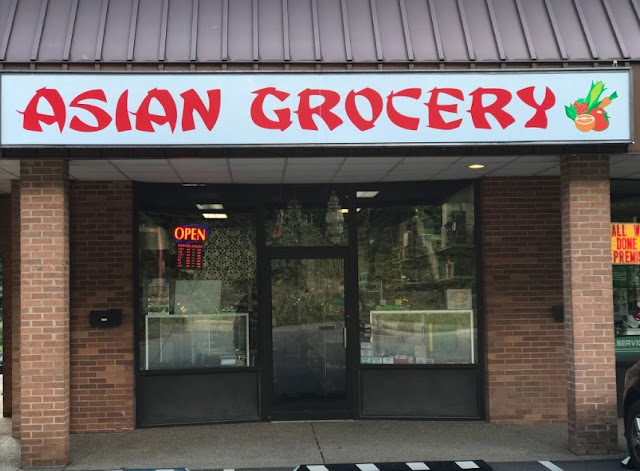 A small Asian grocery store called Asian Grocery recently opened in Castle Shannon, according to the Allegheny County Health Department. In spite of the font, it's mostly south Asian goods. It is located in the Stoner Centre strip mall at 4136 Library Rd. (map) in what was formerly Plus Consignment Boutique.